The decision to sell your business is a big one; it is an important decision likely to affect the lives of many. As a result, it is crucial to keep the sale and all negotiations for the sale of your company as confidential as possible. Likely to affect your clients, employees, vendors, and competitors, it is best to ensure any positive, or potentially negative, reactions do not affect the final sale of your hard work. It is best to wait until the end of the negotiation process to tell all interested parties. Although communication is a critical element of operating a successful business, there will be times when you can’t share everything with your employees and clients. Once you have decided to sell your business, you need to be careful not to say too much. Be selective and strategic about who you share information with during the sale process. You may have key employees who need to be told before the sale is final because they will help you in gathering documentation you may need to present to potential buyers. However, it should be on a strict “need to know” basis. 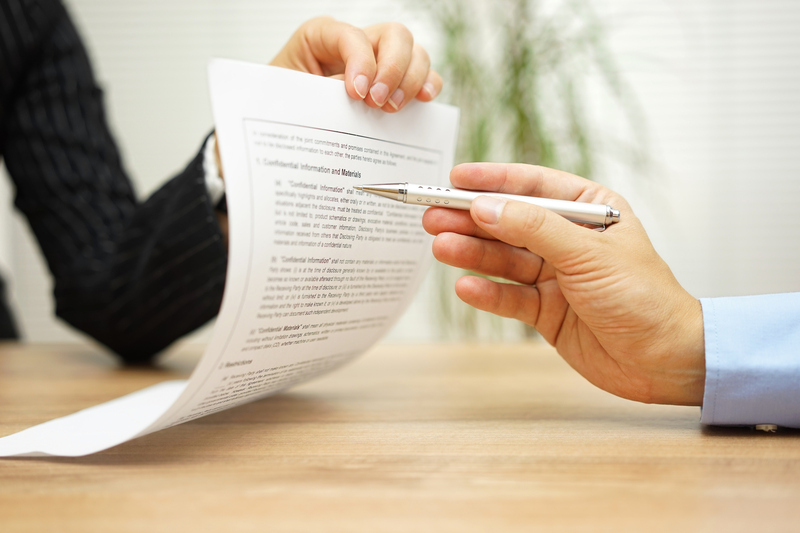 Your customers and vendors should definitely only know after an agreement has been reached. Any hint of a transition of ownership could lead to a loss of customers and employees which could impact a potential buyer’s interest in the business. Once the news has been revealed, it is important to reassure all those involved that even under new ownership, they are vital to the success of the business. In due time, you will be able to reveal certain pieces of information to customers, employees, and vendors. When the time comes to explain your reason for selling, the transition timeline, etc., it is best to do this through personal meetings to avoid rumors and misinformation. Answer all questions as honestly as possible and remind employees that the information is confidential until you have had an opportunity to speak with customers and vendors. Once the sale is final, you may or may not continue to have a financial interest in the business. Regardless of whether you do or not, express confidence in the new owner and in the company’s future by explaining the sale process and how every effort has been made to set the new owner up for continued success. When possible, it is often a good idea to have the owner be part of the announcement as it helps to build confidence in the stake holders. The new owner may then choose to meet with employees, customers, and vendors personally; this can be very reassuring for all parties involved. Because water cooler conversations could likely affect the final sale, the best time to tell employees and clients about the sale is after a signature is found on the dotted line. Keeping this sensitive information under wraps can be a challenge when you are trying to sell your own business. Working with a professional business broker will help ensure word doesn’t get out before you’re ready. A professional broker will enlist the assistance of a lawyer and accountant who will also work hard to keep the sale confidential. Avoid rumors and additional stress related to the sale of your business by following the leadership of the brokers at Transworld Business Advisors. In business for over 35 years, our team of experienced professionals are amongst the best in the industry and will work hard to help you get the best selling price while maintaining the anonymity of your business. This will lead to a smoother transition of ownership for you, the buyer, your employees and clients. Contact Transworld Business Advisors to discuss the sale of your business!